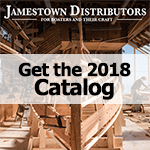 Bomar boat deck hatches, portlights, inspection hatches, and deck plates are designed and tested to meet the highest standards and meet the needs of the boating community. Known for their durable hatches, Bomar marine products are featured on the worlds finest boats and yachts. Bomar hatches balance a design prioritizing strength and resistance, with function and attractive attractive. Low profile hatches are constructed out of powder-coated Almag-35 cast aluminum alloy frames and are clamped to the deck eliminating the need for any screw heads that can cause dirt and corrosion and detract from the sleek lines of the hatch. Bomar Portlights are constructed with an anodized extruded aluminum frame making them secure and attractive. Fully adjustable dogs and hinges enable the glass frame to be sealed down securely. There are no visible exterior screws, making them easy to clean, and a smoked acrylic lens adds to its appeal. Bomar Deck Plates are made from high impact polycarbonate to provide a high quality deck plate that wont corrode and will resist the harsh elements of the marine environment. Deck plates are UV stabilized with a resin and have an "0" ring seal and non-skid locking center.